Currently enjoying a five star rating (admittedly from just 12 users!) 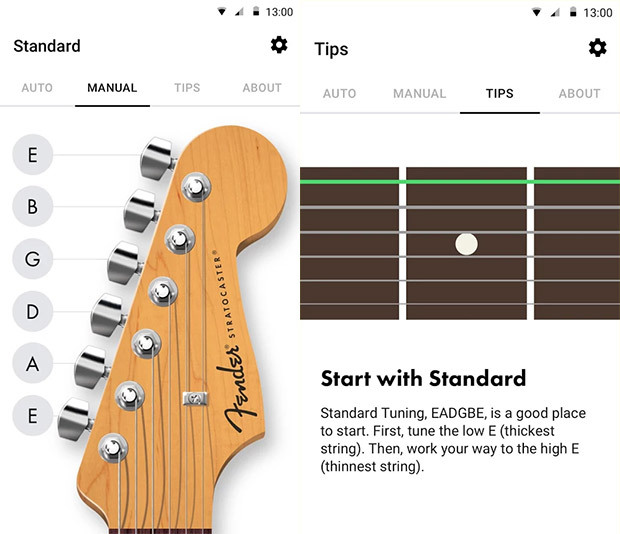 is legendary guitar maker Fender’s new tuning app (or “Guitar Tuner Free- Fender Tune” to give it its full name). As the name says, it’s totally free and offers acoustic, bass and electric guitarists a fairly simple way to tune up their instruments. There’s support for no less than 22 Pre-Set Tunings, including Standard, DADGAD, Open G, Drop C, Drop D, Full step, Half step, Half step up, Half step down, and more. 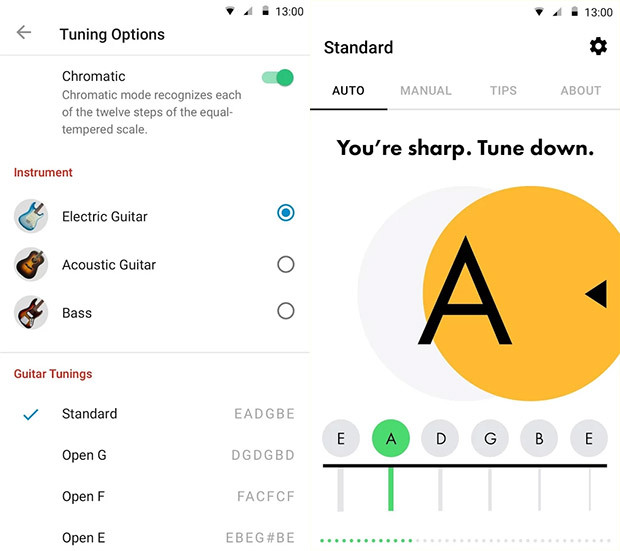 Fender Tune app’s DSP algorithm’s enhanced pitch detection and smoother and faster tuning experience make it stand out in the world of guitar tuner apps. The DSP technology detects low frequency pitches – like the low E string – quicker and helps players get in tune faster. The tuner app’s intuitive interface and tuning modes make it easy to use for beginners and provide the tuning variety needed for guitar pros. You can download the free app from Google Play now. It’s also available on the iPhone.